The Samsung Galaxy S5 did fare well for its price range and its specifications. Its 2.5 Ghz quad-core processor and a 2800mAh battery made for a good combination, performance wise it was a smooth runner. It came with a 2 GB RAM and storage options of 16 GB and 32 GB. The AnTuTu benchmark threw up a score of 68,277 which says plenty on its own for that time. Around the back, there was a 16MP megapixel camera, and it was surprisingly impressive! The camera was one of the best things about this device. But even though the phone was great overall, some features were still questionable. Even though the phone was a good bargain, its aesthetics still left Samsung fans underwhelmed. The plastic cover and faux-chrome edging didn’t do much against its already good looking competitors in the market. 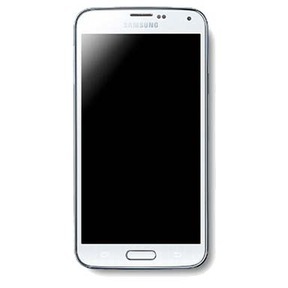 Why Sell Your Samsung Galaxy S5 On Cashify? 1. How do you sell your phone on Cashify? Just head over to their website and mention the device you wish to sell. 2. The website then asks for general details about your device – its condition, warranty, scratches etc. Once the details are entered, it generates a fair price for the device the consumer wants to sell. Once the consumer accepts the price, Cashify initiates a doorstep pickup and payment. 3. One of the agents comes to pickup the device and make payment. Cashify values the comfort of its consumers, which is why it allows the option of choosing desired form of payment method. This could be cash, cheque, or even e-wallets. Cashify has one of the best automated price mechanisms in the market that generate the best price for any gadget. Head over to Cashify and sell you old mobile phone now!